Mingtai Al. is both a Marine grade aluminium 5083-H116 alloy plate manufacturer and supplier with 20 years experience. So factory price is available. Besides, we use the finest raw material to improve the product quality. Mingtai Al. can manufacture Marine grade aluminium 5083-H116 alloy plate with many alloy and tempers, and it can be cut to size at customers` need. 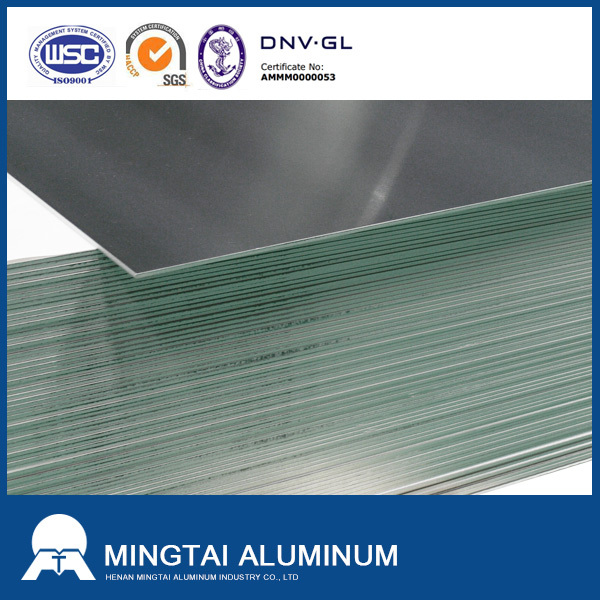 At present, there are fewer supporting aluminium alloy marine aluminum plates on the market. Mingtai Aluminum is one of the few companies that can produce Aluminum Plate for aluminum alloy yachts. Aluminum alloy yachts for freshwater lakes are mostly made of aluminum plates of 5052-H32 or 5052-0, while luxury yachts at sea usually use high-magnesium alloy 5083H116 or 5083H321 aluminum plates for making, and they have undergone special processing technology. , It has good corrosion resistance. Shipboards generally use a thickness of 3-30mm, of which the thickness below 12mm is highly applicable, and the dimensions are generally 2000*8000mm and 1500*6000mm. In order to produce these ultra-long super-thick plates, Mingtai Aluminum has put into production a [1+1" hot rolling line. The width of rough rolling can reach 3300mm, and the rolling width of finish rolling can reach 2800mm, which is rare in China. Production of ultra-wide super thick plate manufacturers. 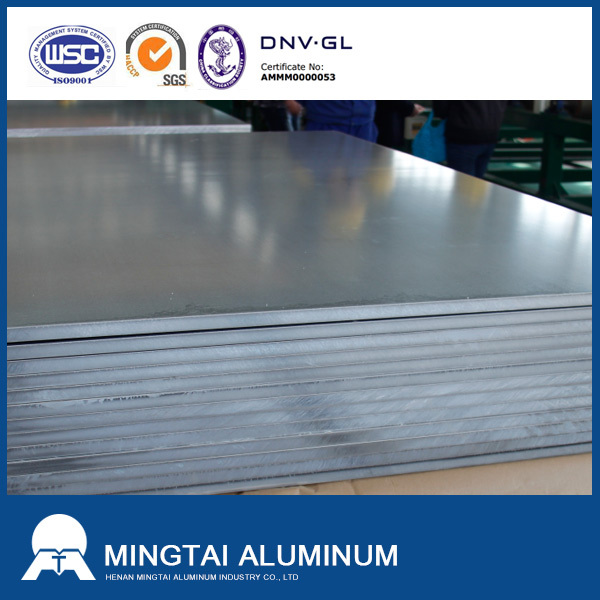 In addition, the Shipbuilding Aluminum Plate for aluminum alloy yachts produced by Mingtai Aluminum have also passed the certification of DNV. The Norwegian classification societies certification is the most authoritative and most rigorous certification body for marine plates in the world. 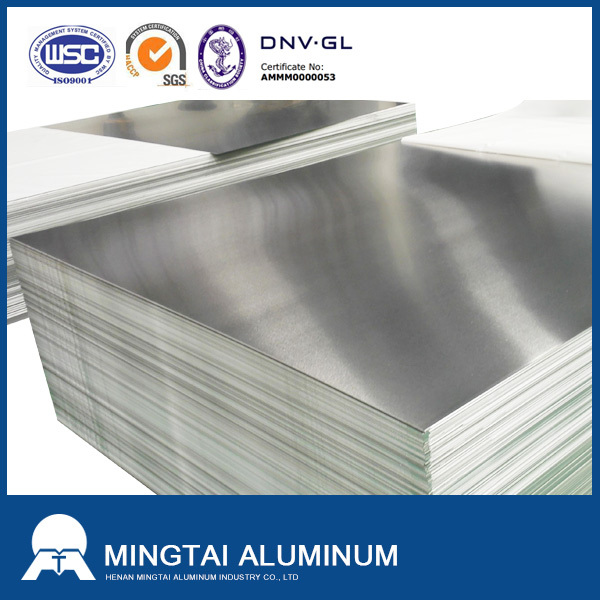 The accreditation means that the Aluminum Sheet products of Henan Mingtai Aluminum Industry have passed strict world authority certification and obtained a general license in the foreign trade market. 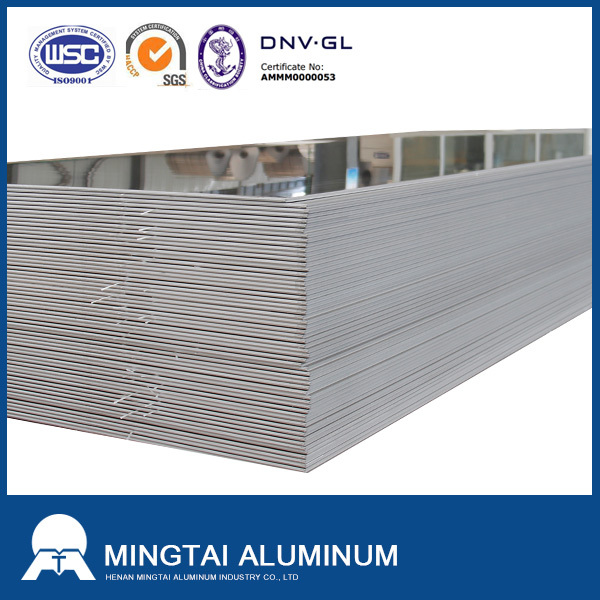 Mingtai aluminum is a professional Marine Aluminum Plate manufacturer in china, There are Marine Shipbuilding Aluminum Plate suppliers in Pakistan to promote the best prices and services for you. Looking for ideal Marine Grade Aluminium 5083 Manufacturer & supplier ? We have a wide selection at great prices to help you get creative. 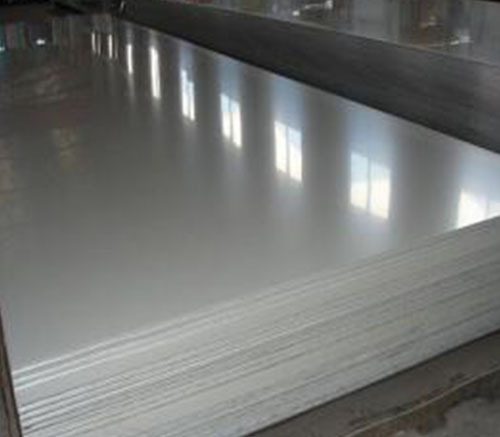 All the 5083-H116 Alloy Aluminum Plate are quality guaranteed. We are China Origin Factory of 5083-H116 Aluminum Price Per Pound. If you have any question, please feel free to contact us.